The concept of Special accelerated growth areas has been successfully used by China and ASEAN counties for attracting foreign direct investment, developing infrastructure, building state-of-the art production and boosting exports. 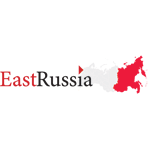 In 2014, with the adoption of the Federal law “About the territories of advancing social and economic development in the Russian Federation” the Russian government has launched a long-term program to improve the competitiveness of the national economy on the international and interregional levels. According to EY 2015 study on investment projects implemented in Russia’s federal districts in the last 10 years, the highest number of completed projects were concentrated in the field of mining. 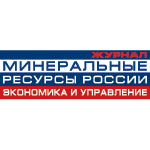 MINEX Russia is launching the Forum on the Regional Accelerated Growth – a specialised information and discussion platform for public and private entities involved in the development of the mining projects based in the “Territories of Advancing Social and Economic Development”. The Forum and the Exhibition will provide opportunities for the regional governments and companies to present the mineral resources programs and the key mining development projects. The discussion platform of the Forum will enable the exchange of views and debates on practical issues e.g. potential opportunities for attracting new investment in the regions, optimisation of federal funds for exploration and development of the mineral resource base, the development of industry infrastructure, enhancing the participation of mining companies in the sphere of social development and welfare growth, and more.